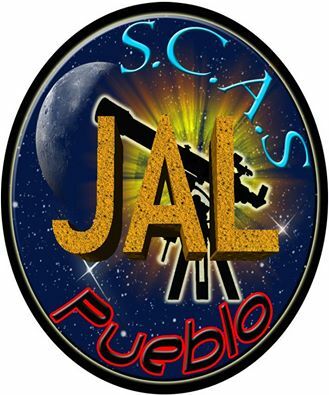 February 19, 2016 – SCAS JAL, the Junior Astronomers League, is official and open for enrollment. This is an incredible program for youth ages 5 to 18 near Pueblo, Colorado, that want to learn more about the night sky and the universe. The program is supervised and administered by the Southern Colorado Astronomical Society (SCAS) board of directors and has its own youth leadership. The Moon, Solar System, and Galaxy are just a few of the topics on the schedule. JAL members may also attend regular SCAS meetings and functions. SCAS holds monthly meetings, star gazing parties, member get-togethers, industry related special guest speakers, and continued education. Enrollment is $7.00 per year unless you are a member of SCAS, then enrollment is free. Enrollment into JAL also includes a NASA/Night Sky Network account and membership in the Astronomical League free of charge. This is an absolute win for area youth and an opportunity to learn about astronomy and science unlike any classroom environment. If you are interested in getting your youth involved in this STEM-based educational program, please contact Director of Education Dave Furry at dfurry@scaspueblo.com for details.